How Old Should My Child Be to Begin Learning Piano? Even if you yourself do not play the piano, you may be familiar with all the benefits of such a musical education. Add to this the years of joy your child will get from being able to play the piano, as well as how this ability will cross over into other endeavors, and you may not be able to wait to get started. The good news is that you won’t have to. No matter your child’s age, you can introduce him or her to the piano. Yes, you can begin your child’s musical education even before he or she is born. At as early as 16 weeks, the fetus has already developed the sense of hearing and can hear sounds from outside the womb. Studies have proven that mothers who listen to music while pregnant will have children who more quickly develop communication skills. Further studies have shown that newborns will actually recognize and respond to specific tunes that were played while in the womb. Your developing baby is listening, so give him or her something worth listening to! 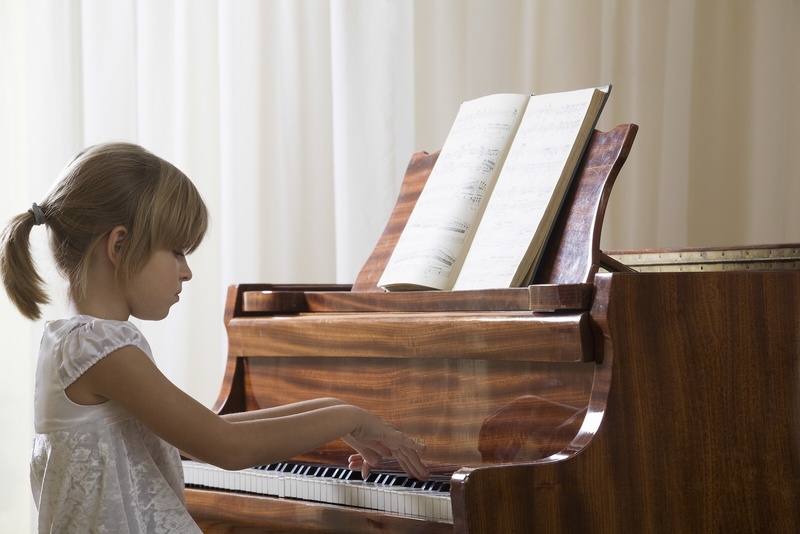 Mozart and other prodigies began at around 3 or 4 years of age – who knows what your child will be able to do? Starting your child early means that he she will have more time to learn and grow into his or her musical talents and style. The secret to involving a child this young is in finding the right teacher. A child this age will have an extremely short attention span, so the piano teacher must be experienced with keeping young children engaged. The right teacher will know how to cut lessons into small, manageable chunks that your child will enjoy. Typically, 3-4 year olds won’t be able to focus for more than 30 minutes. A child at this age will not learn the same way as an older child, obviously. The right piano teacher should understand your child’s development stage and be able to communicate at his or her level. If you choose a piano teacher who isn’t able to make lessons fun and engaging, you’ll find that your child is easily frustrated and won’t want to play. Music should always be enjoyable. The trick is to find a piano teacher who doesn’t make it seem like learning. If you didn’t consider music education at conception, don’t worry – it’s not too late. Most parents don’t even consider music lessons until their children ask for them. If your child has asked to learn the piano, encourage him or her by finding a good children’s piano teacher that is experienced with that specific age range. Children who want to learn tend to do much better than children who are forced to take lessons. Make an agreement with your child to take lessons for a full year. If at the end of that year your child wants to continue, then you know it was not just a passing phase. You may then confidently encourage him or her into more advanced lessons. The full year will give your child time to fully appreciate the piano and basic music theory. Sometimes just learning to play a few simple tunes will be enough to spark further interest and excitement. The older the child, the more he or she may struggle to pick up musical concepts. Don’t worry, it’s normal. Be patient and encouraging. A musical education will help him or her in other subjects, too – so it’s definitely worth it. 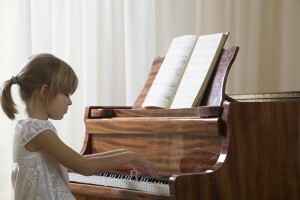 There are no cases of music lessons being detrimental to a child, only beneficial. The most important thing you can do to help your child – no matter when he or she started lessons – is to have a piano or keyboard at home. Practicing daily will enable your child to grow musically and pick up new concepts quicker. You will be encouraged, too, as you hear your child’s progress. Many adults have fond memories of the time spent at the piano with their families. If you don’t play now, maybe you will want to learn, too!